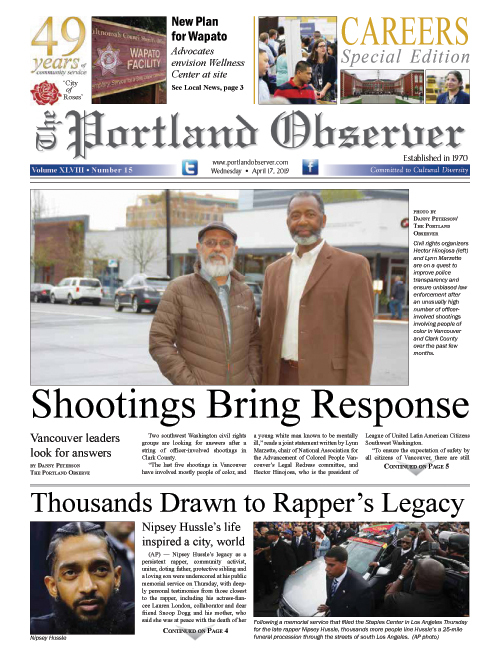 Ayala, a longtime Portland resident, served as the president, executive director and primary agent of Give Us This Day, a private foster care agency and residential program which served youth of color from a home on Northeast Rodney Avenue. “Children in foster care rely heavily on the agency to which they are entrusted and these agencies are responsible for protecting and caring for them. Mary Holden Ayala grossly neglected her duties and selfishly stole from children in need,” said Billy J. Williams, U.S. Attorney for the District of Oregon. Ayala was accused of using money meant to assist foster care children and their families to pay for luxury home renovations, a pilot for a reality show, extensive travel to luxury resorts, a music recording studio, luxury shoes and purses. According to court documents, since its inception in 1979, Give Us This Day was primarily funded by the Oregon state and federal government for foster care services in the black community, including hiring and screening foster parents for community placements, compensating foster parents for services and placing foster children in residential or group homes. From 2009 through 2015, Ayala exercised sole and complete control over the Give Us This Day finances, officials said. No other employee or board member had access to the organization’s bank accounts or statements during this time. With no internal controls in place, Ayala wrote checks, used the foster home’s debit card and withdrew cash at will, using the organization’s bank accounts as her own, authorities said. Additionally, she used the money to fund other business ventures including a media company and Big Mary’s, a fish and ribs restaurant in Portland, and to purchase and flip a commercial property, officials said. In total, Ayala was found guilty of stealing nearly $1 million. As a result, her employees, foster parents and foster children in her care suffered tremendously, officials said. Children from the residential center and house managers complained about a lack of basic necessities, including but not limited to food, toiletries and cleaning supplies. Ayala will be sentenced on May 29 by U.S. District Court Judge Marco A. Hernandez.